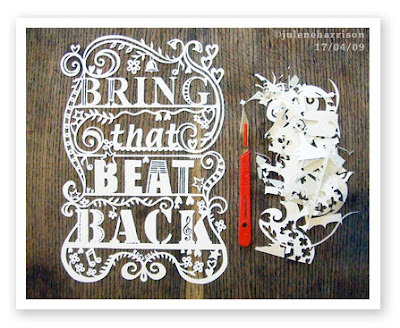 More paper cuts, this time Made by Julene... are you sensing a trend here? Ha ha. Glad you did read your comments! Hope your May goals are progressing nicely. I fear May is getting away from me! I love paper cuts. I used to do them (very simple ones) in high school but got out of it, maybe I'll pick up the knife again.